My skin is not a happy camper lately. I don’t know what’s up, but I know it’s ticked off. Angry. Inflamed. What’s the problem? That, my friends, is anyone’s guess. When a girl has puffy, itchy eyes and rashes on her face, it’s time to slow down and pay attention. If you’ve ever been the detective for your own strange skin reactions, you know just how daunting this process can be. Everything is questioned. Not surprisingly, my family doctor suggested an allergy elimination diet and to examine my environment for possible culprits. I’ve switched our detergents, soaps, shampoos, and I’ve retired make-up for the time being. That was the easy part. The elimination diet and food journaling, on the other hand, are proving to be rather difficult as a recipe developer. It’s my worst nightmare actually. Of course, skin flare ups could be from a billion things, including stress. I’m a big fan of stress-relieving practices, but I’m not so good at carrying them out in my own life. When life gets crazy and deadlines are looming, I often left my own health slide in the process. I know I’ve said it a million and one times, but I need to work on this. She’s so right though. I need to take a chill pill. Of course, breakfast is a natural way to start the day on the right foot. I’m a big fan of breakfasts that can be made in advance, such as Green Monsters (just give them a good stir in the morning), raw buckwheat porridge, vegan overnight oats, and this chia pudding. Even though they take just a few minutes to throw together before bed, I’d fallen out of the habit of prepping them. But man oh man, it makes such a difference to wake up to a nutritious breakfast ready to be enjoyed! The recipe below makes 2 servings so you can share it with a loved one or wrap up the leftovers for your next craving, which if you are like me won’t be far off. I like mashed banana in this because it thickens the mixture while adding a lot of volume. If you aren’t a banana fan, you can omit it, but you might need to reduce the milk and I also suggest adding in your own sweetener and/or other fruit in its place. 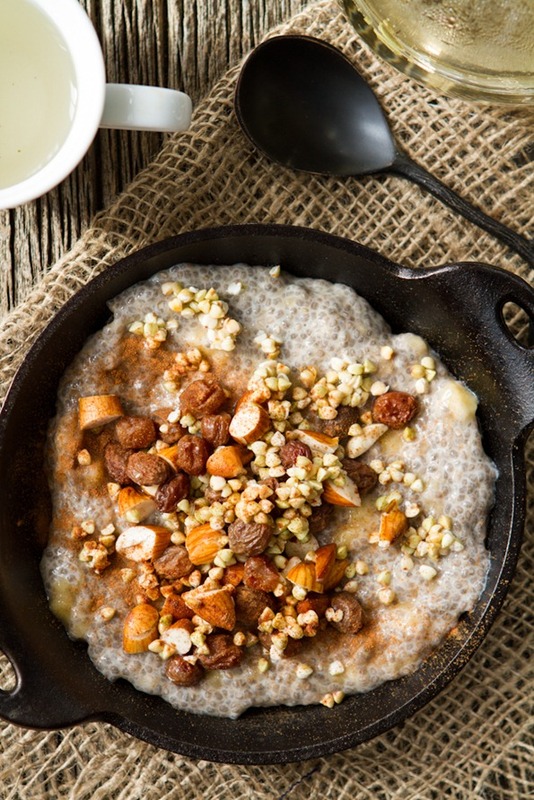 This porridge is especially creamy when made with Homemade Almond Milk. The thickness of the chia pudding will vary based on the kind of almond milk you use, so you can add more if necessary. If your pudding is too thin for you liking you can add more chia seeds and let it sit for 10 more minutes. Finally, if you aren’t a fan of the tapioca-like texture of chia seed pudding, try blending it until smooth. 1. Mash bananas in a medium-sized bowl. Stir in chia seeds. Whisk in the almond milk, vanilla, and cinnamon until combined. Place in fridge overnight to thicken. 2. Add buckwheat groats, raisins, and chopped almonds into another bowl. Cover in water and soak overnight in the fridge or on the counter. 3. In the morning, place your desired amount of chia pudding into a bowl. (Note: at this point, you can blend your chia pudding if a smooth texture is desired, but I don’t bother). You can add more almond milk if you want to thin it out in the morning. Or, if it’s too thin, add more chia seeds to thicken it up. Drain and rinse the buckwheat/almond/raisin mixture. Sprinkle on top of chia mixture along with a pinch of cinnamon and a tablespoon of hemp seeds. Serve with a drizzle of maple syrup, if desired. Store leftovers in the fridge for 1-2 days. For nutritional info, see here. Have you ever dealt with a strange skin reaction or allergy? What did you do? I have, actually! I used to have a little acne, but it is almost gone now. It started to get less and less when I stopped eating meat and fish and when I switched birth control pills, so who knows… Maybe a combination of both did the trick? At the moment I am ‘suffering’ (really, it is just a little annoying at worst) from feeling itchy. I’m still blaming the cold weather and my lazy attitude towards putting baby oil on my skin often enough, but it made me think. Especially now I’m much more conscious about animal-products and try to eat much less of these, resulting in a lot of new food which may cause all kinds of reactions. I eat chia all the time, which I though would keep me hydrated ;) My skin should be radiant by now! is what I think ;) What are you ommiting from your diet first? I am dealing with adult acne and have discovered that it is due to a hormonal imbalance in my body, as well as needing certain fats and nutrients. I am reading a book by a certified nutritionist, Ann Louise Gittleman, who explains that her clients respond well consuming oils rich in EPA or GLA in combination with zinc and vitamin A. The title of the book is, Before the Change: Taking Charge of Your Perimenopause. I am still in the process of healing/building my health up, but I hope this may help. Also look into bioidenticals. Hello — to Nicole’s point on Vitamin A, I found that drinking fresh carrot juice (or even store bought brands like Odwalla) helps with adult acne. Of course, just be careful not to overdo it with too much Vitamin A! I just read that chia seeds can make your skin itchy. The dry winter air is doing a number on my skin/hair/nails too. An allergy on top of that is rough! Hope you figure it out soon! My fiends and I were just talking about chia seeds. :). Thanks for the great recipe. Sorry to hear about your allergic reactions. I really haven’t had any skin reactions since I was really young. Stress, I do know about. Taking time ( 10 – 15 seconds ) to do some focused breathing and grounding through out the day has helped me. Good luck!! Goodness.. My friends not my fiends. LOL! – yeah, wouldn’t want some of my worst ‘fiends’ to read my comment. Might make them think twice about what’s in the chia! Spelling or grammar check anyone? Thanks for my laugh for the day! I had chronic acne for 20+ years, and it turns out that it was caused by a dairy intolerance (clearly not an issue for you). I had a feeling that dairy was the culprit, but that was confirmed by an elimination diet. The elimination diet was tough, but I really did feel good when I was on it (just bored because I love to cook and try new things!). Mandy, I’ve also had acne that would flare up because of diary, even though I didn’t eat all that much of it. Now that I’ve cut diary out (I do still eat meat, not a lot of red though) my complexion is much more clear. I also stopped using facial wash and now just splash my face with water in the morning, wipe dry, and put some witch hazel (can be purchased any supermarket/convience store for a couple bucks) on a cotton ball and wipe my face with that. It is soooo much cheaper and a natural way to clear your face. I encourage anyone to try it! I think that my skin issues are also caused by dairy. I was curious though, what elimination plan did you follow (if any)? I am looking to start one, to really pinpoint where my skin issues stem from. You know, food allergies are such a trial and error game, but if it’s something you want to work on, I can share what I know with you. I was seeing a naturopath previously who discussed an elimination diet with me because we believe that I have food intolerances. As I understand it, we can develop food intolerances if we eat the same things day after day. It’s of utmost importance to switch things up regularly – even down to the fats and oils you use. I had chronic acne most of my life. I went vegan and my skin cleared up, but my blood sugar rose from all the grain and fruit consumption. So, now I follow a modified Paleo plan. I was making raw goat’s milk kefir and yogurt for a couple of months, and low and behold, my acne began flaring up again. So for me, I now know that dairy is OUT. That being said, I am coming to the completion of a 21-day detox program conducted by Dr. Deanna Minich of Food and Spirit. This was not a calorie restriction plan, and it was crafted for both omnivores and vegetarians. The foods we eliminated on this plan consisted of gluten, dairy, eggs, soy, corn, peanuts, caffeine, alcohol and refined sugar. Another potential allergen is almonds, so you may want to test for that also. We were permitted to eat almonds, walnuts, and cashews on this plan. Upon the conclusion of the 21-day period, we may re-introduce ONE of these foods at a time (e.g., eggs WITHOUT butter or anything else that was included in the elimination), and we’re to eat it two to three times in the same day. Then we are to stop eating it and wait 48 hours to see if we exhibit any reactions to the food. If no reactions, it is okay to continue eating that food. Examples of reactions would be changes in digestion, skin rashes/break outs, headaches, joint/muscle aches, energy level, sinus congestion, and any other signs by your body that something is not right. Hope this helps. Good luck! This looks sooo comforting and delicious! Definitely seems like a good remedy to stress…I hope it works for you! I’ve been hearing a lot about 80/10/10. Would love to hear your experience with it. Is it something you might (or maybe have already) shared on the blog? Hey Laura! Yep, I talk about it on the blog. Just do a search on the main page and it should come up. The short version of my opinion is that I think it has a lot of benefits, but it’s really not something I find to be sustainable—at least not in the winter in the mid-west! Do not omit FAT from your diet. We need at least 30% of our intake of food to be sourced from FAT. As much as 50% is highly recommended to work towards. Remember not all fats are equal. 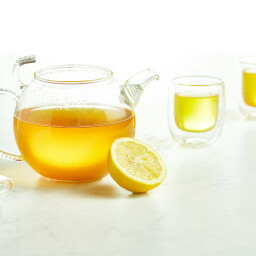 Rather than follow some goofy diet as 80/10/10, do periodic cleanses with vegetable juices, herbal teas and tinctures, etc. Extra Virgin Coconut Oil is a great source of saturated and omega-6, flax seed oil, evening primrose oil, sesame oil, raw butter(yes, butter), palm oil, cod liver oil, krill oil, etc. I tried 80/10/10 last summer. For the first 2 weeks I felt amazing. I had tons of energy, my skin completely cleared up, I lost a couple pounds. But then for the next 2 weeks I felt like hell. I had zero energy, my skin dried up and started breaking out, and I started to gain weight. After a full month (2 great weeks, 2 horrible weeks) I went off the diet. All I wanted was protein all the time. I was eating full cans of beans for lunch and dinner. I was even craving eggs, which was really strange since I don’t like eggs at all. After being on such a restrictive diet my body held on to every little thing I put into it. I ended up gaining 15 pounds and I’ve been struggling to lose it since July. So I personally do not recommend the diet. I’ve realized that anything so restrictive and so extreme is not good for you. But I also think that every single person is different, so what works for some might not work for others. Good for you. Fats are important. I am dealing with adult acne and have discovered that it is due to a hormonal imbalance in my body, as well as needing certain fats and nutrients. I am reading a book by a certified nutritionist, Ann Louise Gittleman, who explains that her clients respond well consuming oils rich in EPA or GLA in combination with zinc and vitamin A for skin, hair, and nail issues. The title of the book is, Before the Change: Taking Charge of Your Perimenopause. She has many other books, besides the one mentioned. I am still in the process of healing/building my health up, but I hope this may help. Also look into bioidenticals, especially for weight issues. Lowfat & nonfat diets are never a good idea. All that advertising for cutting fat has caused us women alot of misery. Without sufficient quantities of two very special fatty acids, your body cannot manufacture all kinds of important substances, including stress and ovarian hormones. Basically you can suffer serious damage to your health. If you are having issues with weight, I would recommend having your hormones checked. My skin goes through crazy periods. One thing that’s really helped is tea tree oil. It’s great for bug bites, zits, and random irritations. I just dab a bit on the affected areas before bed at night. Love these chia puddings! It works well with pumpkin, sweet potato, and butternut squash too! Yum, this looks like the perfect thing to wake up to. Thanks for the tip on blending it… I think that might be the secret to get myself to enjoy cold breakfasts with chia seeds. Sorry to hear about your skin troubles – feel better! Ange, I really hope you get the answers soon. A few years ago I discovered a sulphite allergy. My entire mouth became so swollen I could hardly talk. It took awhile to figure out I had bought raisins that weren’t organic. I had a few exposures until I found the culprit. I wish you great luck your detective work. I think relaxation and sleep work wonders when our body is trying to cope. I have never had any problems with my skin…until last year around Christmas. There were odd bumps over my arms, legs, and stomach, and I had no idea what it was. My dermatologist was out of hypotheses, as well! I simply took to putting cold compresses on the areas (as they would get hot all of a sudden), and also applied coconut oil which really soothed the area. It’s always hard to say which change/elimination it is that works on having the skin clear up, but the coconut oil felt really nice, took the itch away for me, and it seemed to clear up days later. Again, hard to know if it just needed time, coconut oil, or if my body simply needed to lay back in bed with not too much to do, but it eventually ran its course. Hi Tara, It’s funny you mentioned coconut oil! It’s been a lifesaver for me and it’s the only thing I’ve put on my face that doesn’t sting the irritated parts. Yes it feels oily to have on the skin, but it does help so much! SLS was the culprit causing my peri-oral dermatitis. I had tried all kinds of creams from my doctor(s) and finally went online to figure it out. It is in everything that lathers, and then some (estrogen cream?). I also avoided using toothpaste with flouride. I also used to get a dry itchy patch on my elbow that wouldn’t clear up with any prescription creams. I bought a product called Look, No X E M A! It’s made by Nature’s Acres in North Freedom, WI and it worked like a charm! I didn’t know about taking vitamin C for nickel allergies. I will give it a try! I hope your allergy clears up or you can at least pinpoint it soon. That has to be frustrating. When the seasons change, I get this rough patch on my eyelid for a few weeks. Its the weirdest thing and I suppose I should actually, you know, get it checked out. Thanks for the reminder on that. In the meantime, a big chia breakfast bowl doesn’t sound half bad! This looks like a great breakfast! I love overnight oats and this seems similar. What’s the reason for soaking the almonds/raisins/groats? Easier digestion I’m guessing. I’ve had some buckwheat groats sitting in my cupboard for months and have yet to use them, this must change soon! Yes you guessed it. Soaking helps break down the enzyme inhibitors/tannins/phytates to allow for better digestion. I hope to do a post on this soon. Yes it’s working like a charm :) The only thing that doesn’t burn or itch when I put it on. I have Celiac Disease and have visited so many forums. I used to get rashes and hives and even sores on my head. Tons of hair loss. Could not figure out what it was. Then I found out that gluten in products..makeup..skincare…hair products could be causing that. I changed everything to gluten free.All disappeared. I have contacted cosmetic companies and skincare companies and many of them are changing their formulations to remove gluten. If you look at their FAQs page it is usually there. Even if you have a slight sensitivity to gluten it may effect you. Hope this helps! I know how frustrating it can be. Love your blog!!! Having Chia Seeds for breakfast right now!!! i second this. i had scalp problems for years, and could not figure out what is was. until, i happened, just for the heck of it, to go GF 1.5 years ago. guess what, no more problems with my scalp & i just feel so much better overall. i was not diagnosed with a problem with gluten, but i know from how i feel that it was causing many problems for me. i’m sure if you are food journaling, you & your doctor will get to the bottom of it. good luck! Just to help further. There is a place called Redpaw.net. I was in Loblaws one day and a lady I met raved about this place. They do allergy testing. My husband and I went and they tell you everything you are allergic too. It is absolutely amazing. The only thing she recommended to my husband was to take Oil of Oregano. 6 years later he is still preaching about this place. They have a location in downtown Toronto and one in Mississauga. If everything else fails you might want to contact them. Take a look at their website. Magically one day the hives stopped coming as frequently and then they were gone. I hope you find an answer soon! I also got the Giant Hives that came out of nowhere for 6 months and was on cortisone for 6 mo. then they took me off it and I got pregnant a month later and they went away. They thought I would get them back after the birth but they mysteriously disappeared and never came back. They sent me for all kinds of tests including the allergy tests that gave me a long list of things I was allergic to but never bothered me at all. They tested for food allergies and said I wasn’t allergic to any foods. The allergy doctor was completely puzzled and never found out why I got them. The only difference now is I can get poison ivy which I never got before. No hives for over 40 years. Strange!!! I went through the same thing about 9 months ago with a severe eczema outbreak (first one ever) on my eyes and face. I did an elimination diet and it turned out to be gluten and dairy that i was allergic to. Haven’t had a problem since cutting out grains and dairy. Best of luck to you. And chia! So high-vibe skin friendly with all that omega 3 and hydration action. This breakfast sounds so tasty, Angela. I’m dealing with a skin flare up right now. I have a rash in some areas, and in some I do not. This same thing happened when I was stressed (surprise) when I was looking for a job 5 years ago. At the same time, I was eating oatmeal every day for breakfast, and then got an allergy test done and that was the sort-of conclusion. My husband just went gluten free, so I had been eating oats. I stopped eating them but I’m still itchy. He just started school so I could be stressed from that… I’m not really sure either! I ate your overnight oats for the longest time too at one point and wasn’t itchy. I’m thinking stress is the culprit. Best of luck, and this looks delicious! I had to cut out wheat, dairy, nightshades and soy for another health related issue and as a result my skin cleared up. I used to get this nasty, rashy, blistery mess around my mouth and nose which was always brought on by stress but now that I’ve changed my diet, I can be stressed without the rash popping up : ) Just need to work on the stress mgt. now! I also cut out grains, dairy, soy, and legumes and have had the BEST skin of my life :) I also get breakouts when I have too much sugar from fruit/dark chocolate. Good luck on clearing it up! I know that the last thing you want is probably more advice, but…. I had a ton of skin conditions before I got my blood tested for food sensitivities. I had eczema, psoriasis, some occasional acne, dryness everywhere! I knew that it had something to do with food allergies because I ate really clean and only used natural products, etc. etc. A simple blood test (which is a lot faster than an elimination diet, albeit sort of expensive) gave me my results. After finding out about my sensitivities (which make up a long list of common and not-so-common allergens) both my digestion and my skin are almost completely normal. It took about 2 months to heal, and I do notice that if I do have a bit of non-friendly food here or there I start to get a bit of dryness, but now I feel like I can control it! Hope you figure things out soon. I know how frustrating it can be. Hi Jessica, I appreciate you sharing your experience! Is this blood test the same thing as a allergy scratch test? I’ve heard there are a couple different allergy tests but I’m confused what the difference is. I’ve had the scratch test done a few years ago and nothing came up. Hi Angela – nope, it’s not a scratch test. It was actually prescribed by my naturopath. They send you to a lab to get some blood drawn. The blood is then analyzed for immune responses when different food proteins ( I had a panel of 150 most common foods, and there are Vegan panels available too) are introduced to it. Although it is not recognized as infallible, I had great success with eliminating the foods that produced the most significant responses: wheat, dairy, eggs, soy, some nuts and legumes. I had some real weird ones too, like pineapple! Who would’ve thought. They suggest that you usually eliminate the foods in the “red zone” for at least 6 months, and then slowly reintroduce one at a time to see if they produce responses for you. When I did reintroduce a bit of soy or dairy, they definitely provoked significant responses in terms of digestion and skin irritation, all reactions that are connected to auto-immune activity. Anyways, just some “food” for thought. Again, the tests are not proven to be extremely accurate (although in my case, I think it did a great job and other people have had similar successes), but for me it was worth it because then I could really concentrate on the “red zone” foods to eliminate and reintroduce. Oh, Angela, I feel your pain, so so much. It’s been a lifetime of suffering for me, but this last couple of years has been the worst (or maybe I’m just done putting up with it! ), which is what started me on this new, more extensive journey find out why and to stop it. I started with wheat, and have been wheat/gluten free for a couple of years. It didn’t help much with my eczema, but it did help with my gut. Turns out it’s NOT normal to be gassy all the time. Who knew? I moved on to getting rid of detergents. The only detergent I use now is in my dishwasher. I haven’t made that switch yet. I do think that has helped a lot. But my greatest improvement has been when I gave up dairy. The last 6 weeks or so has been a lot better. I’m SUPER interested in what Jessica has posted about. Gosh, wouldn’t it be awesome to just not eat certain things and have clear skin??? Thank you Jessica, I will definitely look into it!. As I said, the scratch testing came back negative for me a few years ago, so it would be nice to try something else out. I’m so glad it was helpful for you! I had the blood allergy testing done too. It was pretty amazing what came back. I then went to see a Holistic Allergist in Oakville, as there was no way that I was going to be able to eliminate some of the things that were bothering me (e.g., all natural sugars). Turns out there were way more when the allergist did her testings on my. She uses BIE (Bioenergetic Intolerance Elimination) to treat the allergy and get rid of it forever ever! I am a new woman thanks to her! It sounds like I have just recently had the same type of testing as Jessica. It was called ELISA testing, which is a way to test delayed allergic reaction to foods. In my case 154 foods were tested and 15 showed up. I eliminate these foods for 3 months and have started eating on a 4 day rotation. (This is a challenge being I am single.) Then after three months I can start adding in the eliminated foods one at a time and see what happens. Some of the foods I have to elimnate include ones I was eating almost daily like almonds, various legumes, and vanilla. I had already eliminated Gluten and Dairy, but gluten still showed up. Anyway, this may be a good direction to go to at least get an idea if there are foods causing your skin issues. These types of testing can also be done for environmental things you cold be sensitive to like pollens and molds. I wish you the best!! I think the test that Jessica is talking about is called the ‘Mediator Release Test (MRT). I’m just finishing up my certification to be able to run this test for clients, what she is describing sounds very similar. It’s a really good test, and does test for 150 foods and chemicals. I second Jessicas on te allergy blood test. I have done it for me and my son and we found out about other allergies we were not aware of. For example, Inknew that I could not eat gluten, and that was positive, but one of the biggest ofender for me was buckwheat, and I had no idea. My son had the same, and some plus dairy (which we knew since he was very young), plus other things too. It is an easy test, but expensive, however I felt it was worth it. If you are going to have allergy testing, I would suggest you have blood tests. Scratch tests can be helpful but can also show that you are allergic to several foods simply because you eat them regularly. Blood tests are better for determining true food allergies. I have also suffered from mysterious allergies. It can be very hard and intensely frustrating. The best thing I ever did was go gluten free and start alkalizing every morning by starting my day with citrus before any other food entered my body for several hours after. Doing this not only dramatically improved my health, hair and skin, but also helped eliminate a pre-cancerous condition in a very short time. Good luck! I had Carroll Food Intolerance Testing (is a blood test) done through a naturopath and found out I’m dairy, soy and sugar intolerant (including foods that contain it). The test cost around 70.00. Maybe there is something similiar in ON you can look into. I’m on an elimination diet right now and she says my skin issues on my face, red patches around mouth and nose, should begin to clear after 2 weeks or so. Good luck to you! I’ve had eczema since I was 12 and it started when I had to wear uniforms for Junior High. We thought it was a reaction to the material of my uniform skirt since I had it only on my legs but it got to the point that by college, even the wind blowing against my legs would make me itch. When I moved to Hawaii, it was like my skin was in Heaven because I didn’t have one flare up the whole 5 years we lived there. Come to find out (since no one else would give me answers) that by putting all the clues together, I’ve realized that my skin can’t handle cold, dry weather and all that comes with it! Plus, Ive realized I itch less when I cut back on the starches in my diet. Are you gluten free? I had a horrible rash on my thighs for about 8 years until I went gluten free, and then it disappeared. Apparently it is supposed to only happen to middle aged men with celiac disease, but it happened to me at 12 with celiac disease. Could be something worth looking into. Since I’ve been gluten free I haven’t seen that rash EVER again! Good luck! Hi,Yes I have had skin rash/excema issues my whole life. A really big culprit are peanut products.Of course growing up I had peanut butter sandwiches every day so it was so great to find out that eliminating the peanuts was such a great improvement. I think most people associate nut allergies with breathing and anaphylaxis ,but they can also affect the skin and not bother the breathing. The skin on my hands reacts pretty violently to dust and molds so for example working in dirt without gloves tears my skin apart literally. So for example working in a dusty attic or crawlspace makes my skin go bonkers. Re reactions to laundry products,my father could never tolerate any laundry products with enzymes and even “”free and clear” products caused him to react. He finally found that he could use the Sun and Earth brand after trying multiple ,multiple products.Believe me my parents are not drama people ,so it was very real reactions he was getting and my point being that “regular” and “natural” products could be a problem and it required a lot of trial to find a product that didn’t make his skin go crazy.Since it is your face ,laundry products or what is in your pillow could def. be a factor. I also react violently to lanolin(which is in a lot of “natural” products)and needless to say wool and I don’t get along. That may not be an issue for you since you are vegan but it tears my skin a part. I also can’t wear wool. i wear a wool dress coat ,but have to have a scarf at the neck so the wool never really touches. Hope you can figure it out.Believe me I have total empathy because it can be so frustrating and for me also very painful because my skin would tear and crack and swell up and it takes a lot of work to sort it out.Good luck! I’ve noticed that my eczema has been having a flare up (probably due to my fist winter so far north in years!). 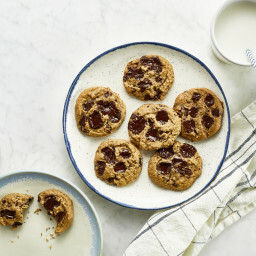 So glad you shared this recipe: I’ve made a variation on lots before but somehow it fell out of my breakfast rotation. I’m hoping that bringing it back may help my skin through the NY winter until it can get some sun! 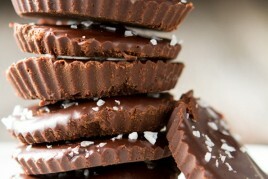 In the past I’ve added a little raw cacao to the mix so it feels a little sinful without being bad for me at all. Another suggestion is to perhaps add a little raw maca in to help keep you balanced through the stress. Ugh, I’m with you on the skin stress thing. I’ve dealt with breakouts of various magnitude my whole adult life so far, and it becomes a vicious circle: breakout, stress about skin, stress causes more breakouts, stress about those. I can tell when I’ve had a breakout just by looking through my search history: corn and acne, gluten and acne, sugar and acne…obsessing over it really! Well I love that idea. I’ll have to put on a scarf! Thanks Angela, that looks super yummy. My DD never knows what to eat for breakfast lately. Fed up with toasts and “normal” porridge… not many cereals she can have… so that might do the trick. Mmm mmm, this is looking perfect for our impending snowstorm! I have had my fair share of skin flare ups, best of luck, hope everything gets better! Great recipe! I’m experiencing some very similar skin issues. I’ve also tried to do an elimination diet and I’m trying to consume fruit, veggies, nuts, and seeds for now. If you are looking for a breakfast/lunch I recommend this sweet potato recipe. It’s stuffed with chard and topped with avocado. I’m sure you could make some wonderful modifications. Good luck problem solving! In regards to the skin issues, dry flaky skin can be also a result of a in-house winter heating. Other than that,one thing I can really recommend for any skin issues is Bulgarian rose water ( chemical free). It s naturally antiseptic, cleansing and healing. I dont use any other face cleansing product and I dont overindulge in make up or cosmetics. Also amazing for dry skin is Moroccan argan oil ( get a good organic 100 % one). It s great for wrinkles, dry skin and also hair. It s a little miracle. Oh Angela, I’m sending you healing vibes! I’ve had problems with my skin that I eventually figured out were connected to my digestion. I did use an elimination diet and discovered several things that send me right over the edge–the nightshades, which others have mentioned. Also, oatmeal and lavendar–of all things. I retest myself every couple of years. Some items go off the list and others come on. As for doing an elimination diet, why don’t you take us along on your journey through your blog? Wishing you every good thing! Thanks everyone, I really appreciate reading about your experiences! Love this recipe idea, so simple! And as far as the skin problem.. I actually had a similar problem just three weeks ago. My face broke out in a strange rash – it was swollen and had tiny red bumps all over it. I went to my doctor, took medication, switched to very mild face cleansers and moisturizers and also eliminated makeup. It cleared up a few days after that! We will never really know what caused it though :/ Now I am back to wearing makeup but still using very mild cleansers and moisturizers. Good luck, hope your skins feels better soon! I used to have a pretty bad rash on my face- i got it while visiting India and carried it back with me to the States (grr). It was really uncomfortable and frustrating since I normally don’t have skin problems. But with some changes it went away. I do have to say that I kick started it with a steroid cream (can’t remember the name), and it really worked with no side effects! If you don’t feel comfortable with that ( I didn’t ,but I was so stinkin’ desperate), this is my usual skin care regimen. Ever since doing this for over two years I haven’t had one skin problem. Everyday: Drink half your bodyweight in water (oz.). Add some lemon juice, which will help cleanse your skin. Have you tried putting green tea bags on your skin? It helps me a lot! Just use the bag after you’ve brewed your tea. p.s.- I also try to have a 75% raw lifestyle, which definitely helps. But I wasn’t raw when my rash went away, but it has helped keep my skin clear. I’m so sorry to hear you’re having some skin reactions! I’ve dealt with eczema my whole life, and in the past 3 years it’s been increasingly worse on my hands and face, leaving me to grasp for any number of reasons in my search to deal with the reactions holistically and without prescription creams and ointments. Like you said, it’s nearly impossible to pin down. I too have switched out every topical-related item and was on an elimination diet including about 15 foods for several months. Not to mention the cleanses I’ve done (which made my rashes worse), the sugars I’ve cut out, the acupuncture and homeopathy. I’m sad to say none of it worked for me, and I’m still dealing with the strange skin reactions today. Stress is also a huge factor for me. Even when I don’t realize it, I think I’m dealing with major anxiety, and I too need to follow through on my stress-relief techniques that I love but often don’t make the time for. I did learn in the process of my search through a GI test that I had parasites from abroad from several years ago that I was able to get rid of and that were a big contributor to some of my reactions. Aside from that, though, what I learned is that even though I couldn’t pinpoint my exact allergies, I did find a few foods that seemed to make my situation worse like soy and nightshades, and I try to avoid them as often as I can (although my favorite foods of course involve nightshades to some extent). I learned that by trying to figure out what was going on in my body made my life much more stressful and made me a more neurotic person in the end, exacerbating my allergies. Today I try to do everything in moderation and use a lot of coconut oil on my face and body (including doing the coconut oil face wash technique I found on Pinterest). It all helps, but I often just have to remember to be patient for it to pass and use my prescriptions on my eczema to keep it in check. I really hope you’re able to determine the culprit as I know how awful and embarrassing it feels to get the rashes on your face! My best advice is to not get too carried away about trying to figure out the food trigger (eliminating too many foods at one time and then relapsing with major cravings) because it may make the rashes worse. I’m still dealing with neuroses I picked up from doing an elimination diet a year and a half ago. Try to take the elimination in stride. From following your blog from several years, I know you’ll be able to stay creative enough with the elimination diet. I hope some day I can find the same kind of discipline to re-try the elimination and get some real answers! I would love to follow our elimination journey as Terry, above, suggested. It would be such an inspiration even just to learn down the line if you found your trigger foods and how you went about staying sane during an elimination diet. I wish you so much patience and courage during your elimination! I really hope you’re able to pinpoint your issues and resolve your skin reactions! I’m not sure if you have heard of Ayurveda or not, but you may find your answer in that. 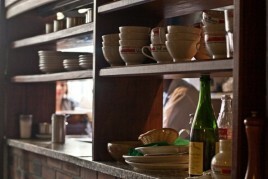 Check with an Ayurvedic practitioner, or take a look at the resources we have posted on our blog, AyurvedaNextDoor.com. Good luck! I had a irritating rash + dry skin develop on my eyelids a few weeks after I moved to Dublin, I couldn’t work out whether it was food related, an allergy, exercise related or something else. I suffered with it for a few weeks but it hasn’t come back since, I think stress may have been the cause. I would totally recommend coconut oil. I’ve dealt with really sensitive skin for the last few years. I have had to be so diligent about my diet and higene since I stared getting flare ups. One thing that bothers my skin is temperature and moisture changes in the air. Another is letting sweat sit on my skin for too long after I exercise – that always leads to rashes! After I workout, I have to rush home, shower, and apply coconut oil or eczema-strength moisturizer ASAP. If I don’t, I get dry, irritated patches that allow bacteria to seep in. Never good! Also, I am sensitive to artificial sweeteners, dairy, alcohol, and caffeine. All of those can trigger reactions for me! Have you read the blog skinspot? She is an awesome resource and I’ve picked up great tips from her posts. Good luck! I know skin issues are no fun! This looks great!!!! I’ve been looking for new breakfasts that are portable for work! I have dealt with reoccurring rashes on my skin in the past and they resulted from stress and food sensitivities. Putting the stress beast aside, figuring out the sensitivities with the elimination diet was not a good plan for me. It’s a very long process and it is so restrictive. It kind of messed up my psychology around eating for a while. I believe you live in the Toronto area so if I could suggest one thing it would be to see Dr. Jason Lee (Naturopathic Dr in Oakville). He was able to detect (he was more accurate than a 200$ test I had done by another ND) and clear my sensitivities. The results are instant and it was worth my 5 hour drive to see him. If you are looking for topical relief, I recommend Florasone Cream – it is a natural homeopathic cream. I have very sensitive skin and had seen countless MDs prior to seeking/knowing about NDs and nothing worked as well as this. I know how it feels and I am wishing you clear skin soon! Agreed – Jason is awesome! I’m a big believer in the BIE method of allergy clearing that he uses. The results are very revealing and tell you much more than any blood test would. I have severe allergy and eczema issues and this is the only method that has worked for me (and believe me – I’ve tried it all!). 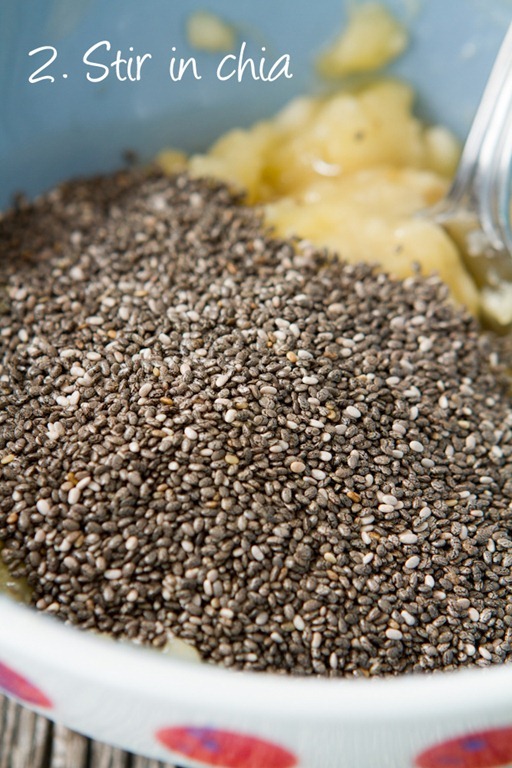 Yum – having chia in the morning keeps me SO full for so long, it always surprises me! I used to have bad acne and eczema, but it all went away when I cut out dairy :) But recently I got a red itchy rash on my face after taking antibiotics, and it turned out to be a candida problem that took nearly a year to get rid of! The antibiotics were necessary (I had pneumonia) but it really sucked. I am actually grateful for the experience now though, because it caused me to really look at my diet and eliminate a lot of not so great stuff…mainly I don’t eat any refined sugar, and limit the natural sugars as well. My skin has never been better, and I feel great! Good luck to you! I’m sorry to hear about your skin, I wish you a speedy recovery! I used to have very bad back pain and acne due to stress until I read Healing Back Pain – The Mind Body Connection by Dr. John Sarno. I found out it was stress because I tried everything you could imagine with little to no results. Anyway, now I no longer have back pain and when I get stressed I have small flare ups with acne. After reading the above book, I went to counselling which really improved how I managed and approached stressful situations. I continue to work on certain issues but it has done wonders for me. Being that the usual culprits are dairy and wheat it does make things more difficult to pinpoint it! Is there anything you eat a lot? Sometimes these are the food we develop an intolerance too over time. If it’s a food that is causing it you only need to eliminate it 2 weeks to then test it out and then even if you have an intolerance after 6 months the antibodies should be gone and most of the time people can tolerate it in small amounts. I have a big problem with periodic dry, crazy itchy hands. I have been wondering, of late, when something is causing some sort of physical problem, why we and/or our doctors always seem to want to eliminate things. Perhaps the problem is quite the opposite and its something we are lacking. Although I don’t believe that we need the amount of protein found in the average North American diet, vegans and vegetarians need to be vigilant and its easy not to be. Skin rashes, which may be accompanied by dry or flaking skin can be a symptom of a protein deficiency. Also for some, too much fat (good fat) is eliminated from the diet causing dry skin. So I think, for myself, as a vegetarian, and upon examination of my recent eating habits, I will up the ante on the protein for awhile and maybe add a protein powder to a smoothie with some Udo Omega 3-6-9 oil and see how my hands fare……..
have you seen a dermatologist ? i recommend getting a referral from your doctor. a dermatologist accurately defined ny skin condition (rosacea) and treatment. It sounds like a lot of others have weighed in, but I wanted to too! I am a pretty healthy eater overall, and I drink loads of water however a couple of months ago my skin started to freak out, very similarly to what you are saying. “How can I have bad skin when I do all the “right” things! ?” I thought to myself. And the more I stressed, the worse it got- just as you said! I had to go through my own deductions and realized a couple things- the cold winter rweather required me to change my cleanser to something much more moisturizing than I had ever used. Additionally, I started applying coconut oil to my face at night to help even further moisturize my face even more. As weird as it sounds, even neosporin on broken out areas helped. I also worked to get plenty of sleep to help with the repair process. Finally, through consistent food tracking I realized how low my daily fat intake was. I follow a vegetarian diet, and pretty close to vegan with the exception of whey protein. I knew I struggled to eat healthy fath, but through tracking I realized just how low my intake really was. Upping healthy fats really seemed to help too. Looks like now in my “old” age (almost 30!) I will have two skincare regimines, one for summer, and one for winter. You will have to keep us updated on what helps! I’ve dealt with the exact same problem…red, itchy, swollen, peeling eyelids…about 7 years ago. I finally found relief/healing with NAET (Nambudripad’s allergy elimination technique) I’m sure you could find a practitioner in the Toronto area. I had to drive 7 hours, but it was well worth it! My allergies are gone (for the most part…still try to avoid dairy) and I can’t recommend it enough. I’d tried the elimination diets but nothing seemed to help. I was reacting to so many different foods and environmental substances that I never could have figured it out on my own. Ugh – no fun! Been there, feel your pain. Hopefully you find something out sooner than later! Sorry that you are going through quite a time of it with your skin. I’ve been there. I could email you about things that come to mind if you’d like. Just write back and I’ll fill you in on email. As for this pudding, love it. 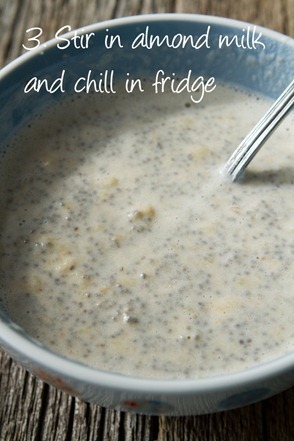 And I havent made chia pudding in years – need to change that. And I think this is perhaps some of your best, most beautiful food styling and use of props, light, and composition ever. I love the opening pic especially! I have chronic hand eczema and it always flares up this time of year when the snow melts and they have to add additional chlorine to our water supply. I smell the chlorine when taking a shower/bath and my heart sinks… I just know I will be itchy all over and my hands will be raw for weeks. I was prescribed a strong steroid cream for the eczema on my hands, but I rarely use it because I’m worried about side effects. Dishsoap also makes it worse. I’ve tried using “natural” soaps, but the difference is minimal. Anyway, I hope that you figure out what’s bothering your skin. I’m in Canada (closer to the West coast) too, so I thought I might share the snow melt/chlorine anecdote. I have been struggling with skin issues for the past 4 months. (jaw line breakouts which is hormonal) I decided to go off Birth control which I know is the calprut and my body is having a hard time detoxing all the crap leftover from the pill. I am a vegan who eats well and takes care of my body, and can fully understand how stressful it is to have to deal with problem skin. So glad you posted about this! My skin just started acting up out of nowhere too and I was like, what?! why!? The elimination diet sounds like sooo much effort but I’ve been taking no makeup days and remembering my vitamins (finally haha) so hopefully that helps! I hope you skin feels better soon. I am in the process of taking things out of my diet too. It seems my tummy has decided to be angry with everything I eat lately. Not cool being I need to feed myself to survive;) BTW Gorgeous pictures as always. I often visit your sight just to appreciate your photography skills! What sort of tea is brewing in the picture? Vitamin E oil from health food store worked better than prescriptions from dermatologist for my facial rash. I have had similar experiences with rashes- at one point I became convinced I had Lupus but the Dr. thought I was suffering from some healthcare worker-related-hypochondria and didn’t even run any tests. Haha. I have eliminated gluten for the last month and I am feeling somewhat better, but I think there is something else. This recipe looks delish! Sorry to hear about your skin troubles. No fun at all. I’ve found a 1:1 mixture of water/apple cider vinegar as a toner has helped calm any skin issues. Also when I added vitamin D that seemed to help eliminate inflammation as well. Good luck. This is awesome! My wife andI went “bananas” over it! I totally understand where you are coming from, my skin is so sensitive and I can never seem to nail down what (and if) I’m allergic to anything. I’ve taken the approach, like you, to care for my body from the inside out. Funny enough, I start every morning with chia seeds! Although, I usually incorporate them into a drink I’m definitely going to try this pudding…the gel consistency from the chia should work great. Thank you and I hope everything turns for the better with your skin soon! this sounds so stinking good! 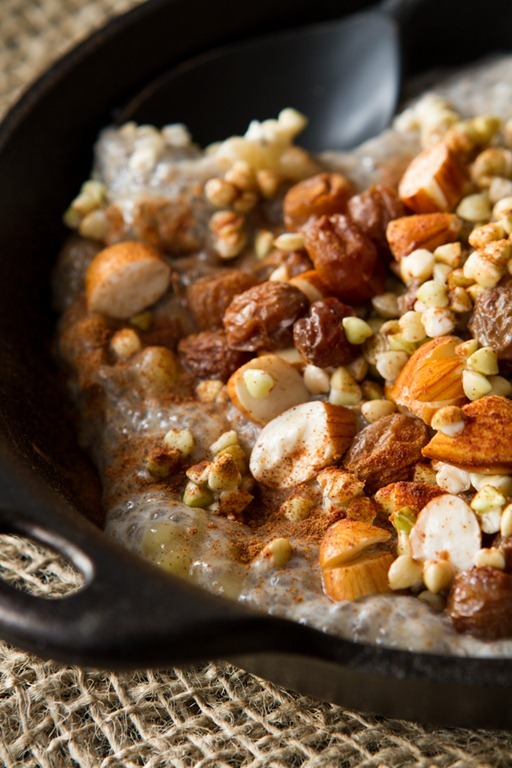 I love overnight oats, so this looks like a great variation. Any suggestions for using steel cut oats and soaking them instead of buckwheat groats, to put on top of the pudding? I have some steel cut oats in my pantry I need to use up, but haven’t been able to figure out the ideal soaking time. I think you can soak them overnight and they will be soft enough to eat the next day. Hope this helps! I have recently experienced similar symptoms – namely bad skin and itchy, red and puffy eyes. I have been to my doctor, tried several rounds of antibiotics and nothing helped. Then I went to my naturopath. I eat extremely clean (dairy, gluten, caffeine free) but was having weird sugar cravings (which I usually never eat). So – I have gone on a cold turkey, no sugar diet, I am on the Candi-gone Renew Life candida cleanse (you won’t have to do much to alter your diet since I think you eat very much that way day to day). You can purchase it at Superstore. But what absolutely changed my skin however, is a product she gave me called Calendula Souci Salve by St Francis Herb Farms. I put it all around my eyes and face at night and everything has cleared up. It has a yellow tint from the herbs and olive oil so don’t use it during the day. It’s a miracle in a bottle. 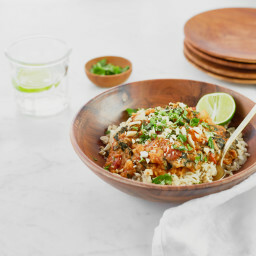 I just love that bowl! Where is it from?? I can sympathize with your issue. I was born with eczema and very sensitive skin. Before Christmas, I started using a new moisturizer. The label claimed that it was ok for people with sensitive skin and that it would help with winter dryness. It wasn’t a good moisturizer at all, and I ended up with a flare-up of eczema on my face. I went back to using my old moisturizer and my skin has been fine ever since. Cetaphil and Neutrogena make excellent products for people with eczema and sensitive skin (I have had really good experience with both). This seems to be the winter of strange germs and things like that!! Here’s what I think. My daughter just started junior kindergarten and has brought back all kinds of unholy things… one of which was pink eye. She passed it on to my youngest who needed SIX ROUNDS of antibiotics to get rid of it completely. I also caught it in this time frame. My eyes and my face have not been the same since! They are so dry, so runny, so crusty feeling in the morning and my skin (under my eyes and on my cheeks) is red and irritated quite a bit. I even had dry skin on my eyelids and at the absolute worst I had what looked like a little bubble or blister under my right eye. I think you mentioned having pink eye in the past few weeks or months. Maybe I am blowing it all out of proportion? But I think there is some kind of correlation going on here. Just thought Id share because this winter has been crazy. Beautiful photos, and thank you for the step-by-step visuals (so helpful for a beginner cook like me)! I love these pictures! The styling is so unique and inviting. Good job Angela! I realise that you are getting a lot of suggestions here, but I feel I would be remiss if I didn’t mention spirulina. I am a veterinarian and normally only take supplements if their is good scientific evidence that they work. This year, however, my hay fever was out of control – I was taking 3 – 24 hour histamine tablets a day and still getting only minimal relief. My sister has similar problems and put me onto spirulina. I was skeptical, but gave it a go. I couldn’t believe 2 hours after the first dose I was feeling better. I’m not usually susceptible to a placebo response so I did some research and found that indeed it is a powerful inhibitor of interleukin-4, a key cytokine involved in allergy pathways. I’ve been on it for a few months now and have not needed further antihistamines. More amazingly, I have started prescribing it for dogs with allergic skin disease. My evidence is only anecdotal as I do not have the means to conduct a full double blind trial, but I have one dog who the second I took her off cortisone would, within 24 hours, break out into the worst dermatitis complete with hair loss. She is now off the prednisolone, and while she still has some redness and inflammation, she is not itching and is a much happier dog. I personally prefer the tablets ( I use the vitacost brand). I take 3 mg in the morning, and if I get symptoms later in the day I repeat the dose at night. You can also use the powder, but I really don’t have the stomach for the green smoothie! Good luck and wishing you a speedy return to good skin health. I love you. I love your posts and your pictures are nothing short of exquisite. May I weigh in on the allergy test? I did it a few years ago. Cost around $400 and actually, I learned the same thing through an elimination diet. I love my naturopath also, and this is nothing against him!! It seems that, maybe like you, everything I do shows up in my skin. Everything. That is my weak spot. I can tell EXACTLY how well I am eating according to my body’s needs by my skin! What a curse and a blessing. May I share what worked for me? It seems you do all of this anyhow, but just as support, when I lay off wheat, gluten, dairy and sugar, my skin is amazing. When I also add sleep and enough water, I glow. sending you love and support. I have struggled with numerous skin issues for years. It improved immensely when I figured out and eliminated the foods to which I am sensitive. Through the process, I also began taking various supplements. By far, the most important one for me seems to be a zinc supplement. I take one daily around dinner time. Zinc is not a water soluble mineral so only take one daily. Don’t take it at breakfast as it’s hard on your tummy. I notice a huge difference when I stop taking my zinc for whatever reason. Once I start back, it takes about 4-5 days to notice the effects again. If you decide to try this, get a good quality brand (I buy mine through my naturopath). I’ve heard this a lot too, thanks for the reminder! I am a gluten-free vegan and have been for many years. I eat raw as much as possible and keep my diet pretty clean. I’ve never had great skin – I attribute it to a very stressful childhood. Living clean helps a lot. Last year I had a wicked patchy face rash no one could figure out. It lasted a long time. It got a lot worse. I even got eye infections. Very long story short, I figured out it was stevia. That shocked me. Within days of eliminating stevia not only did my skin improve dramatically but a lot of other low grade annoyances I’d learned to live with went away as well. Now I avoid it as well as plants in that family (which include lavender and geranium!) good luck. That’s interesting. I can’t do stevia either…I’m pretty sure it gives me wicked headaches. This is a strange one; it turned out that my skin irritation was due to the washing machine not rinsing the detergent out of the sheets and clothing completely. A visit from the repairman cured me! Hope you can find the cause and solution soon. I did have a skin reaction on my face that lasted 10 years. I served 22 years in the Navy so it could have been many things (stress, environments, food, vaccinations) but it was bad. I went to four dermatologists, three of whom were stumped and tried to make a guess as to what I had (from systemic lupus (!) to dermatitis to allergies). The fourth one, a Black woman (I’m also Black) actually did something very smart but very scary. She did a biopsy of one of my lesions. Yep. She did minor surgery on my face. She was so good, though, I can’t even find the place where she took the the skin. It turned out that, for ten years, I had been using skin products that, chemically, burned my skin. It was like a light bulb going on because the lesions always resembled burns from the blistering and peeling to the black spots left after they healed (thankfully, I don’t get keloid scars on my face). She told me that Black skin was very sensitive so did an allergy test; I am allergic to every known chemical put into skin care. PEGs, parabens, SLS… it’s like putting acid on my face. When I asked her what I could use, she said she was stumped because, at the time, there was nothing out there. I did some research and started making my own cosmetics from cold cream to moisturizer to soap to shampoo. My skin reacted immediately and began to look amazing. Eventually, I found an organic esthetician, who has the 411 about organic skin care. I no longer have to make my own because there are a lot of small companies that make things I can use (Eminence, Nahla). At age 54, my skin looks stunning. I never thought I would get here but, thanks to the information age, the times are finally changing for skin care. Just one more thought. There is stevia in many natural toothpastes. Even though stevia may not be your problem, try eliminating your toothpaste. (That worked for my son) Good luck. It may just be stress though. Good luck with figuring it out. It can be so stressful! Great recipe! I saw one like this in my Health Magazine this month and wanted to give it a try! Love the idea of a filling and healthy breakfast!! Thanks Angela!! I used to dread the words ” Dont stress yourself”, as I was not sure what I could do. At that moment finding time to do meditation, Yoga or even sleep use to be a huge hurdle. One thing that was enjoyable without worrying about work is spending time with my husband. I was eating my breakfasts/lunch/dinner for a longer time by sipping herbal teas and talking to him and before I knew I felt more relaxed and could include other activities in my routine. Three years ago I got sun burnt and my skin would turn red and itch if put on any moisturizer. I turned to very finely powdered oats soaked in whole milk (some days I used besan (indian chickpea flour) instead of the oats) for cleansing and drank lots and lots of hot water with lemon (2-3 sips once every 15 minutes). Coconut oil (for dry to normal skin), sandalwood paste, aloe vera (for combination /oily skin) are common skin soothers used in India. Someone gave me a bag of chia seeds a few months ago but they’ve been lonely in my fridge because I just never really looked up any creative ways to use them. Luckily, I came across your post on Pinterest yesterday and threw a bowl together to have for breakfast this morning and YUM! I honestly can’t believe how good it was! I topped my bowl with almonds and shredded coconut and, with the banana, it was like a refreshing little taste of the tropics before coming in for a long day of work. :) I’ll definitely be having it again and making some for my kids and hubby to try! I see many more bags of chia in our future. This gal is amazing. I hope you try it, we use it and are amazed at how well it works. Take care and I hope you get to feeling better soon! My skin is doing the same thing! I had an awful rash that started on my ears and spread down my neck, into my scalp and my face! Right my my ears have healed but my face is extremely dry. If the doctor is recommending allergy medicine (mine did along with cortisol), you can use Quercetin instead, it is a natural anti-histamine that won’t mess up your body. You need a lot of it though, 3-5g per day. Instead of cortisol you can use coconut oil which has antibiotic, antiviral and cooling properties. I have been putting it on my face several times a day. You can also start taking more fish oil, Vitamin E and Zinc which help heal the skin, and lots of water of course. Let me know if you have any questions, I can help with dosage if you are interested. I still have no idea what set mine off but its finally starting to heal. I don’t have a rash anymore, just dry skin. Everything takes a little longer when you take the natural route but your body will thank you. Sorry you’re having skin troubles! I definitely sympathize, as I have extremely reactive skin. I’m currently recovering from a terrible reaction to jojoba oil of all things – I phased out my old moisturizer for something ‘clean’ and it’s backfired big time! I’ve also recently eliminated gluten in the hopes of clearing up a persistent itchy rash on my hands, and that seems to be helping, but it’s a slow process. I’m just hoping I don’t have a soy allergy, because as a vegan, I would be very sad to give up things like tempeh and tofu. In the past, I’ve also had reactions to mattresses, where I’d wake up with itchy, puffy eyes. I’ve since switched to an organic natural latex one, and so far, so good! It’s a frustrating process, but I hope you heal soon! Hang in there. What a lovely recipe and photos! I always find that adding banana to anything makes it 1000x better, especially mashed and cooked banana (so yummy when it caramelizes). Now I can’t imagine having any kind of porridge (or avocado chocolate pudding) without it! Has your face ever gotten puffy from food? It could be sodium intake and I’m pretty careful about that, but ugh, it’s the worst. Glad to know someone else has skin vs. food issues:) Misery needs company right? Yes, horrible life threatening allergies. Slowly one by one I am getting better With N.A.E.T. Or does the mixture get lighter when you use more milk? Hi Kate, That hasn’t happened to me before so I’m not sure! Maybe start off with a smaller amount like you said and see if that helps. HI Angela! I was elated to see this post! Not because I want you to have skin problems though! :) I was going through the SAME issue two weeks ago. I chronicled it on my blog (http://www.soulfulspoon.com/2013/02/my-new-experiment-skin-diet.html) and I am happy to report after an elimination diet, adding in 2 extra green smoothies a day, and adding in lots of orange foods like squash, that my skin is 100% clear. I’ve also upped my chia seed intake and this has made a huge difference in my skin’s overall appearance. Some of my little forehead lines are even gone along with my skin is glowing and smooth! I also added in 2 tbsp. raw coconut oil to my morning meal and I believe that has helped as well! You can do this! Think about what you can add, not take away. That made my journey a lot easier!!! :) GOOD LUCK and I love this post! Why does yours look so bubbly and delicious?? Mine was good but did not look like that!! How do you always know how to post about what is exactly going on in my life?!?!? I am doing an elimination diet this week also…. trying to finally figure out if their are certain foods that are causing my belly to look 7 months pregnant or if my intestines just hate me…. this week I am eating free of a lot of the major culprits …. sugar (including fruit), wheat/gluten, and nuts. I have had to get very creative to do this on an already vegan diet…. on day two and things actually seem a little better for my pipes and plumbing… next week Ill slowing add foods back in to see if any cause an air baby to appear…. first back will be fruit! Good luck with your skin!!! I’m assuming your doc did some blood tests (B’s, D, lipids, protein metabolites)? Otherwise, it’s a bit of a guessing game. My big time rash, not just face was sulphites and not knowing I was gluten sensitive. Hope this helps. Looks like such a great recipe! Going to try it out soon. Whenever I get a pimple or other skin irritation, I immediately put Tea Tree Oil on it and it seriously works like a charm! It sounds like your case may be a little more severe but it’s worth a try! Good luck. 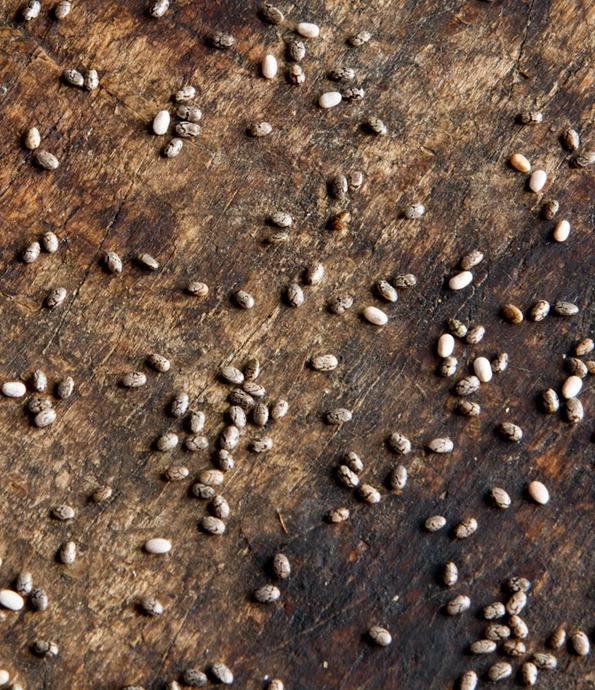 I’m a vegan from Holland and after reading this post i wanted to know more about buckwheat. Because I didn’t know what it was called in dutch. So I looked it up on wikipedia and there was this part on how the green parts of buckwheat contain fluorescent pigments with poisonous fagopyrine. And that consuming big amounts of it can cause phototoxicity. And then when your skin is exposed to sunlight it can cause skin problems, like redness and stuff. After reading this I thought you might like to know this, and maybe it’ll help you find a solution for your skin problem. By the way this information wasn’t on the english buckwheat wikipedia page but the dutch. And it also said that buckweat doesn’t contain a lot of fogopyrine and that it useally doesn’t cause any problems. But you can always look into it. I hope this helps!! I too find myself stressing more when told not to stress but I have learned that stress does pay havoc on our bodies and skin! I find that usually right around January and February my slight excema seems to flare up a bit… I’ve tried detoxes, diet changes, and various skin care products… Through my detective work I’ve discovered that its simply due to the weather changes. It could be that the air is dryer due to the indoor heat or who knows? That recipie looks delish! I don’t know if anyone has reccommened this product yet http://moogoo.com.au/eczema-psoriasis-balm.html its incredible, all naturally derived and works to clear up a miraed of skin problems. its used in a few of the childrens hospitals over here (Australia) and it really is amazing! Thanks for all the wholesome recipes….makes it so much easier, quicker and tastier to eat healthier! Sorry to hear about your skin! I am definitely not a doctor, but I see a nutritionist once a week. He always told me that when you skin acted up it usually links to your liver. Meaning you are eating something you shouldn’t be, or your liver is just over working. He always always suggested that I drink water with LOTS of lemon. A little natural detox never hurt anybody! And maybe it will help get that reaction calmed down some? I actually had a skin rash on my chin and was getting pretty bad joint pain. My naturopath put me on a cleanse and then slowly reintroducing foods back into my diet. Turns out I have a sensitivity to soy. Good luck, I had a hard time with it in the beginning! Angelas, hope you figure out what is going on with your skins soon! But I think it’s true. Whenever I get stressed I get little hard lumps on my hands that are quite odd and create a tightness whenever I try and bend my fingers. I was given steroid cream to relieve them but it’s funny that they only appear when I’m stressed. I also react to soy milk, I was drinking it for 5 months when I decided to stop drinking cows milk. It was giving me mild-moderate acne which was very stubborn and I could not understand what was causing the issue because I take /very/ good care of my skin and was eating well and working out plus drinking plenty of water and green tea. At a last resort I threw in the soy milk and replaced with almond and within 2 weeks my skin has completely cleared and I have hardly pretty much no active pimples/spots since and it’s been about 4-5 weeks since I’ve made the change to almond milk. Isn’t it funny that something I percieved as being so small and insignificant was making such a drastic change to my body? Thanks for all your wonderful recipes and posts. You’re always making me laugh! Yum! Just like a Chia Seed pudding but healthy enough to eat for breakfast… genius! I love your blog, and your chia seed breakfast bowls and parfaits are my newest favorite breakfast recipe to make! So delicious, satisfying and simple to make! As someone with sensitive skin, I completely feel your pain. I’ve never done elimination, though, as my skin seems to just react to…well, existing, frankly. Just wondering, what does soaking the almonds/raisins do? I’ve never heard of that before. Hi Mimi, Soaking helps with digestion – see my reply to someone’s comment earlier. Enjoy! This looks amazing. I love chia seeds in my oatmeal and smoothies. They also make a great pre-exercise snack to help fuel a hard workout. I’m not sure what I love more about the your posts…the amazing recipes, the pictures or your honesty in regards to every day issues like skin problems that allows so many people to open up and share ideas! Thanks for another great breakfast idea! If you decide to go the elimination diet it is critical to keep a food diary of how you feel after meals (and if/when you get flare ups) I have done the elimination diets and although they can be challenging it really is an eye opener to see what foods do to your body. Best of luck!!! Wow- I soo understand. I travelled to Ireland last May and while I was there developed the worst rash on my calves. It was soooo itchy. It then appeared on my arms, neck and face. My dermatologist and I figured it was systemic so we took away a couple of Meds and supplements (I’m a cancer survivor-thriver) for a few weeks. It didn’t help. Finally in desperation, I had blood test for food allergies. Turns out I’m allergic to fish (yet another reason to go vegan) and rice. Now my son is allergic to gluten so no rice is tough. However, the itching has disappeared! I hope you figure it out soon. Hi Angela, I really love this post. I’m a huge fan of chia seeds :) I first learned about them from reading the book Born to Run. I love that book. That’s where I learned that my feet are hurting because I’m not running barefoot! Now I use Vibram Five Finger shoes. I use chia seeds in a lot of my food especially my breakfast shakes :) They are loaded with Omega’s! Thanks for sharing! I really enjoy your website. I was wondering if you could suggest a replacement for bananas in this recipe. I was advised by my acupuncturist not to eat, they really slow down my digestion. I really hope you find out what is causing your skin reaction. This was SO amazingly good!! I made it up last night and I can probably get 3 servings out of it. I heated it up in the microwave for 1 min. added a Tb. of peanut butter and some walnuts for a banana peanut butter nut bowl! Yummy! I just made this and absolutely loved it. I added fresh blueberries and whole raw almonds as toppings. I also skipped the vanilla extract and added extra almond milk to thin it out a bit. YUM. Thanks for posting this awesome recipe, Angela! Love this recipe! I have been adding chia seeds to EVERYTHING lately! I hear ya- I have allergie issues plus living in L.A. SMOG I might add !! and my skin totally gets a beating. Plus then you hear everything under the sun on what it could be! I had a similar skin problem about 6 years ago. The skin around my nose and mouth got really dry, red, and inflammed. It happened during the winter time so I associated it with the weather. Now that I look back I was really stressed at the time. I also had an allergic reaction to soap around the same time and got hives all over my body. I’m not sure if the two were associated or not. Eventually it cleared up and went away. Knock on wood that it never returns. I hope your skin clears up soon. I know how frustrating it can be. I can totally relate! Growing up I would get seasonal itchy patches on my feet that would flare up and drive me crazy but when I turned 30 and had some stress with my business the rashes went up my legs and settled around my mouth. It’s irritating, red, inflamed and I get fevers frequently. As others have mentioned I got blood tests done for allergies and came back with eggs, dairy and almonds being very high. But with further research I found that the test can change drastically depending on when you get your blood drawn and the allergens can change based on what you’re eating. I also didn’t want to give up eggs & dairy so I went on the GAPS diet to heal my gut and have had great success while following it. Now I’ve modified it to make it fit my current lifestyle a little better. The main thing I think that has caused my allergies is having a leaky gut that was caused by a bad case of food poisoning while traveling/stress/eating some GMO foods. I am so surprised that someone with such a healthy and restrictive diet would have a food allergy? Everyone says they love your blog, and I don’t want to be repetitive, but… YUM! Tons of other people also say they’ve had skin problems their whole life, and sadly I’m with them on that too. I’ve had the DRIEST skin I’ve ever seen. I’m talking cracking, aching, flaking, uncomfortable skin. I recently discovered NAET (Nambudripad’s Allergy Elimination Techniques), and for the first time EVER my skin feels and looks good- without crazy amounts of who-knows-what-is-in-this lotion. I did start using all natural lotions, week-long juice fasts, flax seed, fish oils, coconut oils, etc., etc about 3 years ago, but since addressing allergy issues I never knew I had in the past year I am finally seeing the new healthy stuff grown in! I had the same problem a few months ago. I stumbled across an Ayurvedic line called Kama that sells cold pressed pure Aloe Vera juice as a toner. I started applying it twice a day after cleansing and all of the patches of rough skin went away. Ive been so happy with the effects of aloe vera that I’ve found another line called Santaverde that makes high quality / natural aloe vera based creams. My diet also needed a rehaul (too much sugar) but pure unheated aloe vera got rid of the patchiness in about 4 days. I think I’m hooked for life! Good luck sorting through everything. I hope my tip helps! This bowl looks like my chia seeds want to be transformed into it. I love the toppings you used in your photos as well. Absolute deliciousness ^^. And good luck with your skin problems. I sometimes get red spots on my face, that look like nasty pimples, but that actually stay for less than 3 minutes and then mysteriously disappear. I fear their origin might be an allergy as well, but until nothing worst happens I won’t get myself a test, because if somebody actually tells you that you are allergic I would be so much more nervous about these little spots. Proper food combining to aid digestion is a skinsaver! Also, grinding the chia seeds will make them alot easier to digest (store them in freezer). I suffer from rosacea flushing and acne when I mis-combine foods or eat something difficult to digest. Food combining=eat fruit alone, proteins separate from carbs, etc. (read “Beauty Detox Solution” by Kimberly Snyder). Digestive enzymes also made a world of difference! When I do hatha yoga/acupuncture/epsom baths my skin and mindset are calmer from the relaxation! p.s. you’re an amazing cook and person..hope these tips work for ya! Over the last several years, I have experienced dry, red, irritated eyelids to the point where I couldn’t apply make up – but only in the winter. The doctors could not cure it or give me anything that would make it better. I changed my diet to vegetarian and it cured it right then and there. I also noticed it cured my seasonal allergies as well. Now, since you don’t eat meat I am unsure what is causing your allergy but I can recommend one moisturizer that is truly amazing that I discovered myself – from the brand Fresh – Creme Ancienne – I cannot say enough about this product. It was created by monks for burn victims, it is the richest most gentle moisturizer I have ever used. Within one use you will notice an improvement. I keep it on hand for emergency situations if I start to notice any signs around my eye of getting dry in the winter! LOVE the breakfast bowl! In the morning I topped it with ground flaxseed, almonds, blueberries and sunflower seeds. Thank you!!!!!!! So glad to hear that Melissa! I just got into Chia seeds, thanks for this great recipe, I’m becoming a pre-prepared breakfast person and loving it! Thanks! [ Smiles ] I have never indulged in chia-seeds for breakfast, but I am willing to try new things. Let’s hope that it goes down well. By the way, thank you for sharing this recipe! You may want to try putting some Coconut Oil on your skin ( if you havent given it a try). Since it is a medium chain fatty acid it is better for you (you know that). Also, it contains anti-microbial properties that are great for your skin. I use it as a moisturizer everyday. I suffered from acne and allergies until I was 31. After suffering for many years I was finally tested and found out I was allergic to gluten. That has done wonders for my digestive tract and skin. Good luck to you. Keep up the great work! My husband and I had this for breakfast. Its very very yummy !! Thank you lots for sharing the recipe! I have been trying to find different kind of breakfast substitutes, which can be very challenging & I am happy that I came across your beautiful blog! 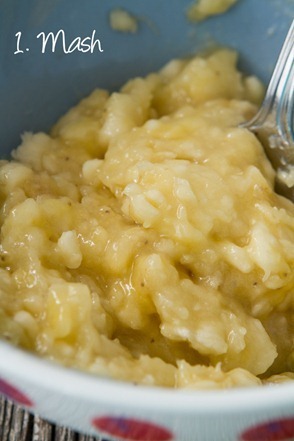 I just replaced the banana mash with some organic apple sauce & it was delicious! That looks delicious! And definitely like something that I’m much more likely to actually enjoy than the chia fresca (no offense, but I really don’t think I’d be able to get over the texture of that one)! I like chia best milled, I think, as a powder to thicken stuff. Can you “heat up” this recipe? I sometimes want hot cereal in the morning, but am now gluten free…. Did you try it? Because I am wanting to do the same… I’m a big fan of something hot for breakfast. It was delicious! I just heated it up in the microwave the next day! Hi Angela, just wanted to let you know I’ve really been enjoying this recipe! I had been doing a similar recipe on my own but you definitely got all the ratios just right! I hope your skin is feeling better and I’d be interested to hear what’s working/not working for you. Hey!! So excited to try this…It looks delicious..one question though.. Have you attempted/ would you recommend heating the pudding up? Im a really big fan of hot breakfasts and am curious if this would still be yummy if I heated it in a microwave? Would it remain thick? We are 90% vegan and attempt to avoid all processed foods like the plague. So, i found a ton of new stuff to try here. Question about this Chia Pudding – what can i do to avoid the milk? We have a nut allergy and i find other types of milk have too many ingredients for me to care about them. (Rice milk has oils in it… it doesnt freeze..lol. and coconut milks have sugars). can i just use water? Hi Michelle, Thanks for your lovely words about the blog. I would suggest using light canned coconut milk or perhaps a mix of full fat coconut milk and water. I don’t think using all water would taste that great, but perhaps it is worth a try. goodluck! I really enjoyed this recipie but I’m not a big fan of bananas, is there anything else that can substitute for this ? do you find that your skin is getting more itchy when you eat sweet things? It could be a yeast infection/ Candida. That was the case for me when I developed skin problems. So I had to eliminate sugar as well as the usual culprits… My heart goes out to you, as I know how distressing it is to have irritable skin. What helped me externally was to dab a diluted apple cider vinegar solution on the itchy patches to stop the itch, as well as coconut oil what others have suggested. A slightly less pleasantly smelling but very effective moisturiser is shea butter with tea tree oil. Internally coconut oil is very good, olive leaf capsules and oil of oregano. But the latter two are very strong, it’s best to start gently with coconut oil or medication containing coconut (called caprylic acid). Eating avocados and pumpkin type vegetables and flax oil are very good for healing skin. Fish oil supplements, too, to combat inflammation. Drinking fresh ginger tea is beneficial, too. Hope this helps. If you suspect you have a yeast imbalance or candida check out my blog candidadietplan.com, where I have documented my journey to recovery including lots of sugar free recipes and a quick symptom test to see whether you are likely to have candida. Fingers crossed it’s just stress though, and you’ll be absolutely fine very soon. All my best, chin up! What is in the MASH for this recipe? This was such a great way to start my day — so delicious! I didn’t have any buckwheat groats on hand, but threw in a handful of blueberries instead, yum! This is the perfect breakfast! It takes seconds to make and lasts for about 3 days. The vanilla made it too sweet for me, so the second time I made it I skipped the vanilla and it was perfect. I added raisins to the mix from the start, and I think that added some natural sweetness to it. Also, I added quinoa for some bulk and flax seeds. Perfect! Sorry to hear about your rash. I started eating chia seeds/drinks this past week and got a nasty photosensitivity reaction this past weekend. It’s never happened before and I was researching to see if eating too many chia seeds can cause the oils to accumulate/irritate the skin. It’s possible and maybe something you should consider. Everybody’s metabolism and sensitivity differs so it is possible even though chia seeds are very healthy in general. Hi! 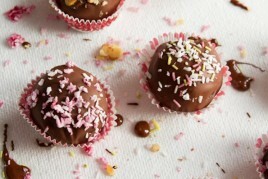 I recently discovered your recipes – love them!!! I have had skin problems all my life. Many dermatologists later, there still was no fixing my itchy eczema rash. About a week ago, I stopped by my local Fruitful Yield store and asked one of the wonderful employees what I could do to make my skin healthier. She suggested cleaning from the inside out and lowering the acid level in my body. My routine now includes drinking a few ounces of pure Aloe juice before meals and remembering to take my B complex vitamins. I am also using pure virgin coconut oil on my skin twice a day. It’s a bit greasy, so I use it sparingly. My skin started to clear up within 3 days! No more topical steroid creams for me, which never really helped anyhow. The itches are gone! Eating your healthy recipes will be key also. I am going to make this recipe for breakfast tomorrow. Now I finally know what to do with the chia seeds I bought a few months ago! unfortunately Vegan awareness is still in it’s diapers in my country (I’m from Israel) so I can’t always get all the ingredients, but I make do! about this recipe, I was just wondering if it also works if it’s warmed, or does that just ruin the whole point of it? Hey Neta, I’ve only had it cold, but Im sure you could gently warm it too :) Thanks for reading! I made this yesterday, replacing the banana with equal amounts of applesauce (because I’m out of bananas until my next shopping day). I also stirred in a spoonful of almond butter at the end. It was amazing! My favorite chia seed pudding recipe so far of all the ones I’ve tried! I think pumpkin purée or crushed pineapple would also work in place of the banana as variations. My brain is already conjuring up a tropical pineapple version. I love the applesauce idea – thanks for sharing! I made this yesterday and fell in LOVE with it. I use Chia seeds in my water, also from your FB page and I love Chia seeds so when I came across this I knew I had to try it. Love it!!!! I even made it for my children and surprise!!!! they like it as well. New school breakfast for them and so light for the summer time. They have no idea I’m slowly making more vegan dishes, no more process things in my house, but also more healthy eating. Healthy choices for us! What you say about the connection between food and skin is so true. I’m 18, had mild acne on my T-zone, chest and back. I decided to try eliminating dairy and it cleared up a lot, I then went completely vegan and my skin is perfectly clear. Also the dark circles under my eyes which I have had since a child are now practically non-existent. This chia seed breakfast bowl is my go-to brekky!! Yum yum. Thanks so much for the recipe! This was amazingly delicious…I had to skip the hemp seeds (they were too expensive at the store where I was shopping), used chopped walnuts instead of almonds, and warmed it up a bit by placing the bowl over simmering water for a few minutes. Yum! This looks so good! 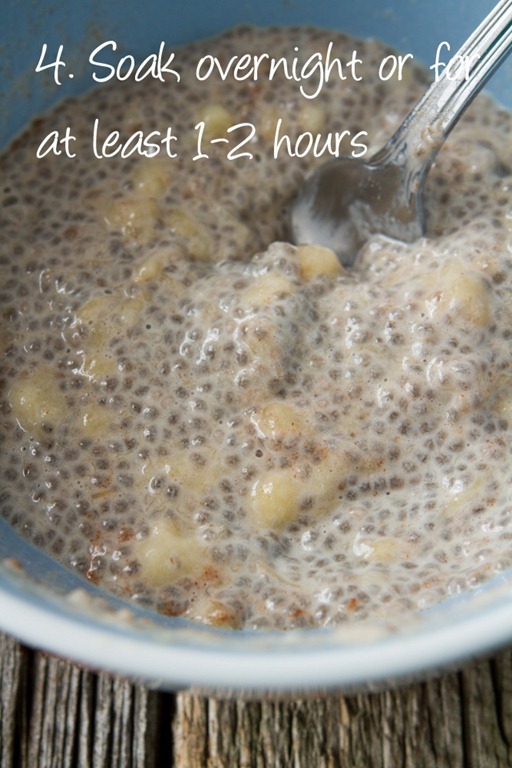 I bookmarked it on my laptop to try this week:) I just got into eating chia seeds, they freak me out a little bit since they look like mini reptile eggs. But so far they have been tasteless in all of my meals! Yes I have had awful skin rashes and breakouts, and it took me my whole life to figure out that I am highly intolerant to dairy. But there are countless things it could be for you , I have learned not to look up my symptoms on the internet because with most cases, I should have already been dead ha-ha. I hope someone helps you figure this out! All I can think of is an allergy/intolerance to something you may have been eating. Have you ever gotten allergy tests before? This is absolutely delicious. I can’t wait to eat it again. It is super easy to make and definitely worth the before bed prep. Could you freeze this, in small batches? Without harming the consistency, I mean. I am switching to the blood type diet for O type (kind of like the paleo diet) and this was a recommended recipe. I like to cook ahead of time so I dont have to think about it, and Ive always froze things. Hi Meghan, Im sorry I don’t know – let me know if you try it out! This was my first try at one of your recipes, Angela, and it’s a good one and oh so easy. I had concocted my own version of this but had not thought of the grouts. I tried it for breakfast this morning and really enjoyed it. Easy to switch out dried fruit and other nuts for an equally good taste. I’m actually having skin rashes and hives on my face, tongue and legs BECAUSE of chia seeds. Just thought I would let you know that the chia seeds may be the culprit of your skin problems, too! Your body through M-Testing will tell you what is causing skin probs or any other problem you may have. It will through M-Testing tell you also for example what you should be having n not having and how many times a week. For .E.G Your muscle may lock up for a yes to fish.. Then test which fish. Then test how many times a week is neutral without causing any inflammation , then how many times a week for ultimate health. Fish has only been used as a E.G. I have helped a lot of people through Muscle Testing. No more guessing ! Just fact from the one whom knows best ~*You*~ the Divine Miraculous You ARE and have always been. Also barley powder made up to a paste is awesome for irritated, red flared up skin. It cleanse, rejuvenates and Alkaline s it! Bright n glowing! Wonderful blog, recipes, stories… Love the nourishing, healthy, tasty theme. I recommend milk thistle (and other liver herbs) for helping the skin, as well as good ferments for the gut. Yum. I made this last night for breakfast today and felt like I was treating myself. It was so good. The only thing that confuses me is the nutritional info. My sources tell me chia seeds have 8 gms of fat in one ounce/2 tbsps, bananas have 0.4 gms of fat, and a cup of almond milk is 3 gms. So the total fat grams in one serving should be max 12 gms not 19 as your info states? Did I calculate something wrong? Thanks. Hi there, I think mine is higher because I included the toppings in the nutritional info. Hope this helps! Oh duh…of course. Got it, makes sense. Thanks. I stumbled across ur blog while looking for Chia seed benefit & recipes. Thanks for all the information. I still haven’t tried it and since u’ve written the entry almost a year ago, you must be using Chia seeds regularly in your diet. Have you noticed any difference in your energy levels, weight? Since it isn’t easy get these in India, I would really like to know the benefits from someone who has already used it before I start investing in them. Looking forward to your reply. Thanks & loved ur other recipes as well! Subscribed ur blog on Feedly. Hi! I’m going to prepare this dish for breakfast tomorrow and can’t wait to taste it! Could you please clarify the purpose of soaking raisins and chopped almonds? That is new to me and I’m curious to learn about the reason/benefit. Thanks in advance! I’ve been looking for alternative breakfasts that are tasty and filling and this one is awesome. The drizzle of maple syrup sealed the deal. Every day I look to make better choices and my breakfasts are now a better choice. Thanks for a great recipe! This was..okay. The flavor was decent but it looks horrible. Mine didn’t come out like the photo–it turned into a medium grey-brown color that scared everyone I showed it too. I probably won’t make this again. I was wondering about the banana darkening overnight – could it be added before serving for a better presentation? I love all the recipes with chia seeds. I have developed an intolerance for bananas. 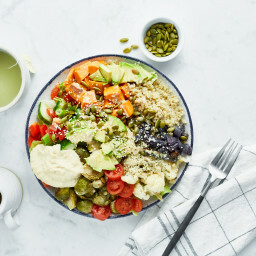 What you recommend as an alternative to mix with chia seeds? I have have fairly severe adult acne, and constantly have allergic skin reactions. I’ve been the heaty medication route, and it was one of my biggest regrets. Right now, Im using seabuckthorn seed oil once a day on my face (just a few drops of the oil, not a cream made with it), and now have next to no acne. Wish I had known about it 10 years ago. Hi! I have had a very strange reaction and it was an auto-immune response to an over worked gut. I had leaky gut. At thus point in time I was eating gluten-free and vegan. I searched out help by doctors and specialists and no luck. I had allergy tests, still nothing. Than I finally webt to see a naturopath and she tested me with their food sensitivity screening. To my dismay, my doctor recommended me following a strict GAPS diet. I did this for a year, had a lot of cleansing of my gut and I have been free from joy strange skin reaction! Thank-you, so much for posting this!! I’m on an elimination diet at the moment as well and I’m seriously struggling. I can’t tell you how much I love this recipe! I had tried a different chia seed pudding recipe last year and it was horrible. On a whim, since I love your other recipes, decided to try this one since it had the addition of mashed banana. It’s totally changed my view on “chia seed pudding”! I love it. This morning, I added a spoonful of pumpkin, chopped pecans, and cinnamon on top and it was delicious! thank you!! Chia seeds are a recent addition to my diet. This recipe was recommended to me by a nutritionist. I love the topping suggestions, along with the realization that I can personalize this very easily with other toppings that I love. My calling is intuitive energy healing, and I have helped people with skin rashes which dermatologists, allergists, acupuncturists, and even Lahey Clinic couldn’t resolve. Their answer was eating only chicken and veggies or going on prednisone. I urge individuals with long-term or chronic skin flare ups to consult an energy healer near them or who does distance healing. Thanks for this recipe. I’m really enjoying it with finely chopped organic apple instead of the banana and walnuts (my favorite nut) instead of almonds. I was thinking about how you usually put a bit of salt in oatmeal and added a little sea salt to this too. I think it added a nice touch. This breakfast really replicates the oatmeal experience for me without messing up my blood sugar like oatmeal (unfortunately) does. And I feel great afterwards! Looking forward to trying it with pumpkin soon. Your blog is so beautiful and inspiring…one of the happiest places on the Internet for me! I love your blog. I just enjoyed the chia seed breakfast bowl, for my breakfast. I cannot wait to try another recipe. Could it be that you’re allergic to nickel? It’s in healthy natural foods in abundance. It is actually because of a systemic reaction on my hands from a nickel allergy that I ended up looking at this blog. I’m trying desperately to find something good to eat and am holding my bag of chia seeds wondering if they’re ok.This recipe looks great except that I can’t eat any of it. No nuts… Was wondering about the chia seeds though. I’ve recently started mixing up seed ‘porridges’ or ‘mousse’ for breakfast. Hemp, chia and cocoa soaked overnight. Whipped up in the blender in the morning. Then topped with fresh fruit and nuts. Yummy! Great breakfast alternative when I want to avoid grains. I know this is about food, but our family has a great new solution for acne. Melt 2 Tlbs. coconut oil and add 5-6 drops of melaleuka essential oil. Pour into recycled chapstick container and allow to solidify in a cool place. Treat acne twice daily-we have consistently seen results within 24 hours. Back to glowing! Hi Angela, I love chia pudding, this recipe is great! I haven’t had a chance to read all 247 (!!) posts from the last few years, but my friend who introduced me to this blog has a Chia allergy! In looking into the symptoms they can manifest in rashes, hives and possibly diarrhea & vomiting in extreme cases. Due to their high level of Omega 3 they can thin blood and reduce blood pressure which is usually a good thing unless you are about to have surgery or already have low blood pressure! Chia seeds are awesome! Would this work with chia powder? I absolutely love this recipe! 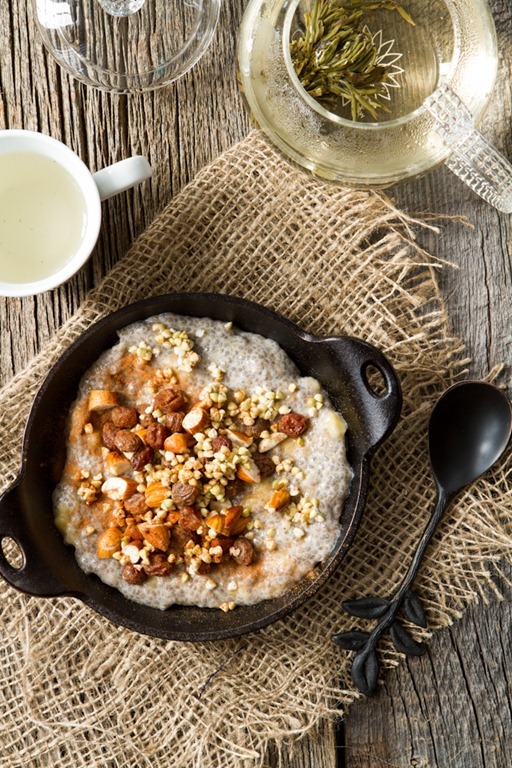 The mashed banana really gives this chia seed pudding the extra oomph for a breakfast bowl. Also I added a heaping teaspoon of cocoa powder to the recipe and it was SO delicious, I definitely recommend it to all fellow chocolate lovers out there! Hi, this looks delicious. Only thing is… I don’t like bananas! Any alternative suggestions? Also, why do you soak your almonds? I this recipe but I recently have an allergy to banana. Are there and recommended substitutions? 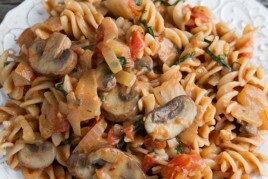 I love your blog it has me feeling some find recipes that can eat with Crohns. hi, I get adult acne around my jaw. It’s do to egg allergy and potatoes. My skin would break out painfully and not heal. Now I can tolerate potatoes and local farm eggs. Just wanted to thank you for this recipe. I make it once a week and it brightens up my breakfast so thanks! I top it with almonds but I’m going to try raisins this year too. 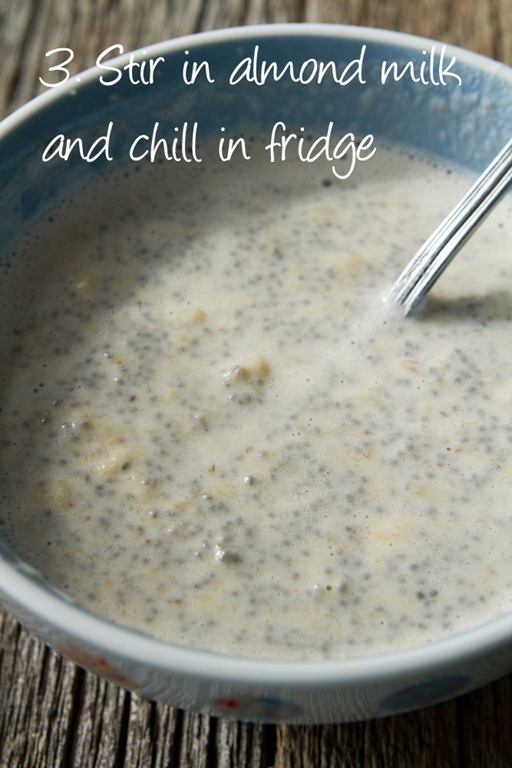 This recipe was my first attempt using chia seeds. The only modification was using coconut milk instead of almond milk. After 8 hours in the refrigerator there was still a crunch to the seeds, rather than the tapioca consistency I was expecting. Is this normal or should they become completely gel-like? If they stay somewhat crunchy, I’m not a fan of the texture. Could I grind them first to avoid this issue? Please offer suggestions, since I bought 2 lbs. and would like to enjoy them while getting the health benefits. Thanks. Hey Lynn, I’m so sorry for the delay on getting back to you on this! I just saw your comment today. I personally haven’t ever noticed a crunchy texture after soaking my chia seeds, so I’m not really sure what the cause might have been. But, if you find yourself not enjoying their texture, you could try blending them up as in this recipe from Oh My Veggies. I hope this helps if you decide to try chia seeds again in the future! Hello, I was wondering if someone could please help. I made this for the first time a few weeks ago and it was delicious, I then started adding Maca into it and switched my almond milk a couple of times. The texture started looking a bit like gelatin after my first attempt, I thought it was the Maca but I stopped adding Maca and it is still looks ad has the texture of gelatin. Does anyone have any suggestions about why this is happening? Thanks! Hi there! The strength of the banana taste may depend a bit on the ripeness of your bananas, and your sensitivity to it. I really like adding mashed banana because it thickens the mixture, making it super creamy while adding a lot of volume. But if you aren’t a banana fan, feel free to simply omit it! You might find you need to reduce the milk a bit, and I’d suggest adding in your own sweetener and/or other fruit in its place. A lot of readers have used applesauce in the place the of the banana; I’d recommend checking out some of the other comments for other great ideas! :) Hope this helps!! Delicious! Used 1 cup to 4 tbsp chia seed and 1 large banana and it was perfect consistency. Let it sit overnight for 12 hours before eating. Didn’t use any vanilla essence; didn’t miss it at all. Thanks for the recipe!